While cavities are extremely common, gum disease is actually the most prominent oral health problem in the entire world. This infection attacks the gums and roots of the teeth, and it’s even the #1 cause of adult tooth loss right here in the US! We take gum health very seriously, which is why our team includes a gum specialist, Dr. Charles Braga. With his unique expertise and advanced services, he’ll make sure this global issue is never a threat to your smile. Why Choose Andover Family Dentistry for Gum Disease Treatment? 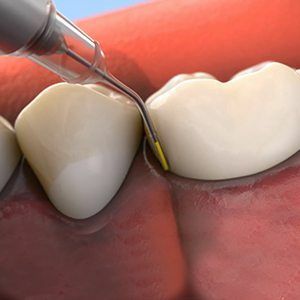 Once a patient has been diagnosed with gum disease, our first course of action is to remove the infectious bacteria from the gums and roots of the teeth. To do this, we’ll perform a deep cleaning called scaling and root planing. First, an ultrasonic cleaner will be used to clear away any plaque buildup located around the gums (scaling), and then we’ll gently smooth out the rough surfaces of the teeth’s roots (root planing). This will make plaque less likely to gather near the gums in the future, lowering a patient’s risk of reinfection. 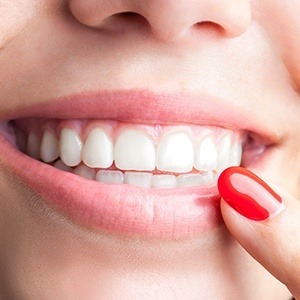 Gum recession is a very common symptom of gum disease, one that not only negatively affects the appearance of the smile, but also makes tooth loss much more likely. To correct this, Dr. Braga can place just a small hole into the gum tissue and use special tools to gently stretch the gum line back into its original position. Compared to a traditional gum graft, this procedure is much faster, less painful, and has a dramatically shorter recovery time as well. After a patient has undergone a complete gum cleaning, we may choose to apply a topical antibiotic in order to eliminate any leftover bacteria still hidden deep beneath the gums. For this, we’ll use something called Arestin. Once on the gums, it will quickly dry, and then dissolve slowly over the next few days so the powerful medicine can reach and kill all remaining bacteria. Afterward, we’ll recommend that a patient receive regular dental cleanings more often in order to prevent reinfection.